Stock Market Cycles – what are they, how do they work, and how do you make money from them? Stock market cycles repeat over time but the real trick is in the selling before a fall – if you could only be good at one thing then make it selling! I have spent my working life in the Finance Industry, specifically in constructing and managing portfolios of stocks in the Australian market. In my work I utilised every fundamental analysis technique available. In doing this I travelled extensively domestically and abroad meeting company management to gain the extra edge over the competitors. I created an extensive network of industry contacts, including company management and brokers to create strong returns. Over time, the problem for the industry was that returns from fundamental research began to decline as every investor and commentator analysed the same information, at the same time, after the same event. Then everyone trying to do the same thing, on the same day, after the horse had already bolted! This issue is why fund managers struggle to perform better than the benchmark return. It’s the same problem for all investors. Reacting after the event simply doesn’t work. Everything my team did was to try to be ahead of the market. We endeavoured to get invested before a stock was recognised for its value but more importantly, we tried to sell before a negative event – as the amount of money we invested made it difficult to trade after the event. If a team of “experts” had that issue, how is an individual meant to research, analyse and trade profitably on the stock market? At Pythagoras we spent years developing a method of predicting events with share price effects. We analyse the market through changes in volatility – predicting the fundamental events. Turning the problem of being unable to act in advance of fundamental events on its head. Mathematically we now predict the events – and trade ahead of them. If you bought and sold each recommendation the average return for our 70+ stocks recommendations over the past 5 years is 18.1%. At the same time the stock market growth was 6.1% per annum. In the 2017 calendar year our recommendations have returned more than 26.5% – that’s 19.5% better than the market growth. All the complex work done behind the scenes by more than 100,000 lines of mathematical code. The outcomes… are staggeringly good. Pythagoras is not trying to do the same thing as everyone else – we have turned the problem on its head. We are proudly different and innovative – for independent thinkers who want to invest differently. 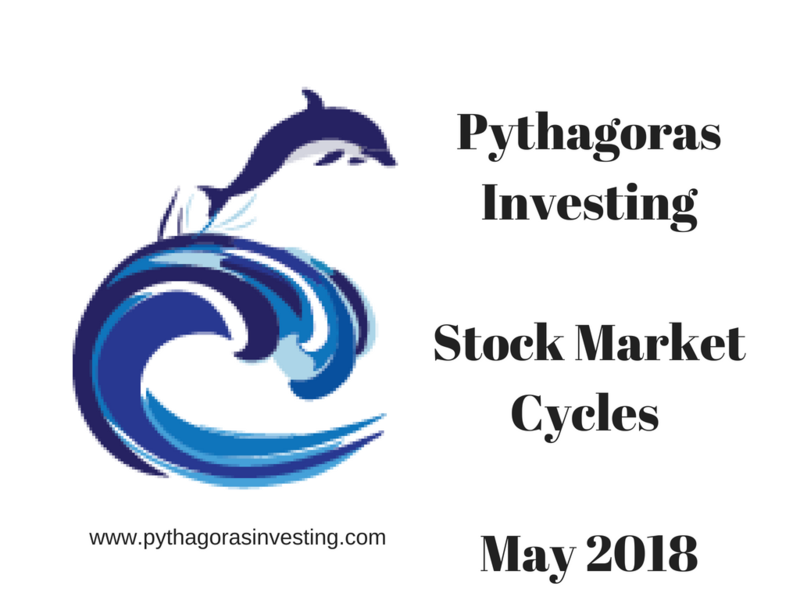 To understand how Pythagoras Investing works, we are using this stock as an example. 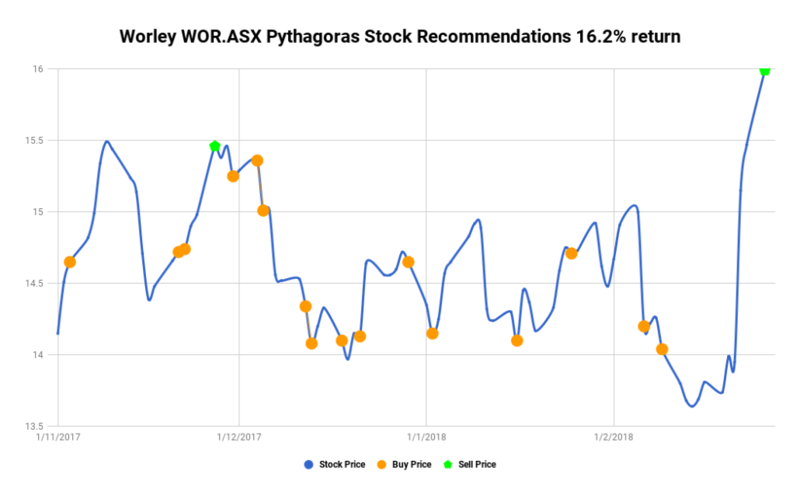 Pythagoras recommendations created a 16.2% return for our customers in the 3 months to late February 2018. We recommended 16 buys which resulted in an average profit of $1.42 per buy. Over 3 months total capital gain was $22.73. 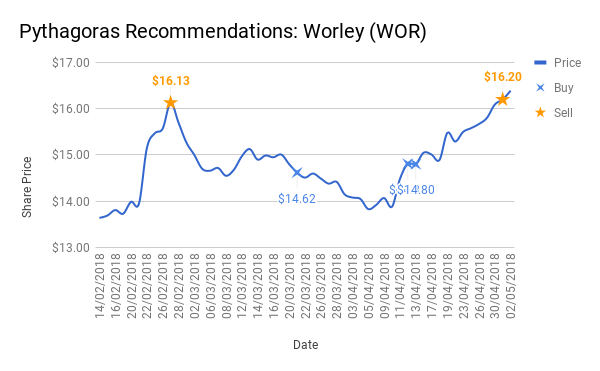 Over the same time, Worley Parsons own stock gains were $1.31 or 8%. By comparison to the market, the share price or bank interest – this is a great outcome. After selling on 27 February 2018, what happens next is great. The price droped and Pythagoras recommends clients accumulate again. Then the selling is at an even greater price. Those 3 buys yield another 9% return and cumulative profit of $5.39. Simply put, Pythagoras is mathematically looking at stocks and predicting events through changes in volatility then predicting share price behaviour. We then trade ahead of the events. We are not scared of volatile markets as Pythagoras mathematically performs at its best in difficult markets. There is no need for fear! Buy signals with a price and timing, and sell signals with timing! Be ahead of the whole market. Worley Parsons Limited provides professional services to the resources and energy sectors in Australia and internationally. The company provides engineering design and project delivery services, including maintenance, reliability support, and advisory services. The company offers engineering and project management services to the floating production systems, heavy oil and oil sands, offshore topsides, offshore pipelines and subsea systems, onshore pipelines and receiving terminals, onshore oil and gas production facilities, sulphur recovery plants, arctic and cold climate, and unconventional oil and gas facilities, as well as for petrochemicals, refining, and LNG sectors. It also provides engineering and project services for base metals, coal, chemicals, ferrous metals, alumina, aluminium, iron ore, and gas cleaning industries. In addition, the company offers infrastructure business support services for resource and urban infrastructure markets, including environmental and restoration services, development of water gathering and processing facilities, rail and port assets, and power generation and transmission. WorleyParsons Limited was founded in 1971 by a great guy called John Grill and is based in North Sydney, Australia.